Future home to the first solar project ever approved by the PSC in Senator McConnell's home state. Photo courtesy of Daniel Boyd. The EPA's proposed Clean Power Plan is a turning point for our nation in tackling climate change. Its goal? Cut climate-altering carbon pollution from existing power plants by 30 percent by 2030. The plan gives states the flexibility to achieve pollution cuts in a variety of ways by switching to less carbon-intensive sources, using more renewable energy like wind and solar and improving energy efficiency. 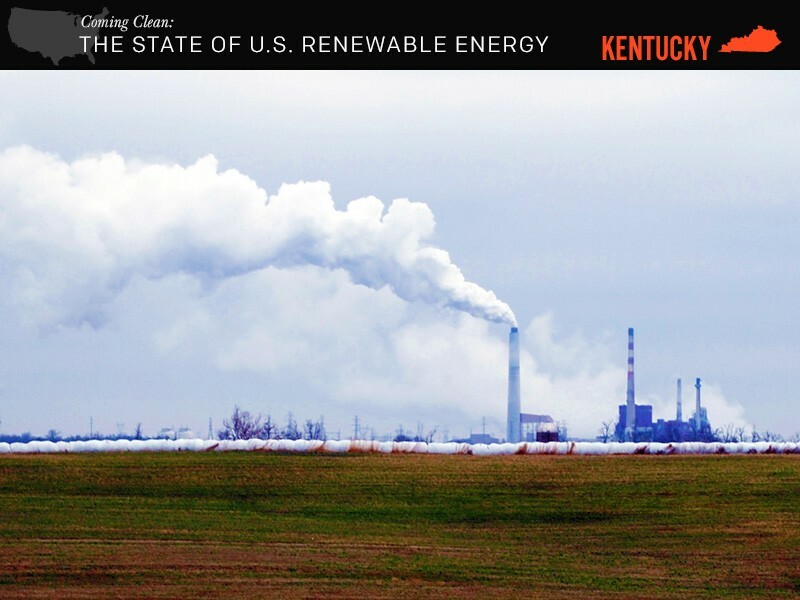 However, owing to a misinformation campaign by Senate Majority leader Mitch McConnell (R-KY ) -- who recently used debunked industry claims in advising states to forgo developing their own implementation plans -- there seems to be some unnecessary confusion about what states, including his home state of Kentucky, have to gain by crafting their own plans. First, Inhofe's snowball, now McConnell's misleading advice. The Washington Post stated on 3.1.15, "The Senate should be mortified by the face of [its] environmental leadership." In truth, those states that act early to pursue renewable energy will be at the forefront of our nation's efforts to seize a clean energy future. This transition brings new job opportunities that will be missed by states that choose not to act. Senator McConnell claims to be advocating for coal industry jobs in his state, yet those numbers have been declining for decades (which can't possibly all be blamed on the current President nor the Clean Power Plan that has yet to take effect). Perhaps states should look again at the job numbers: there are close to 80,000 coal miners in the U.S. today, while nearly 174,000 people work in the solar industry. And the latter is growing. There are also many cost-saving health benefits to many of these newer, cleaner technologies as compared to the dirty fossil energy of the past. States that conduct an honest assessment of renewable energy and energy efficiency strategies and move in that direction will experience what is typical with the implementation of Clean Air Act safeguards. For example, a recent safeguard to reduce mercury and other air toxics from coal plants stands to save over 200 lives per year and create up to $1.8 billion in health benefits for 2016 in the senator's home state alone. If states choose to follow Senator McConnell's bad advice, it is more likely that electricity rates will continue to rise. However, the sooner a state chooses to embark on the path toward energy efficiency and renewable energy, the better for the ratepayer. Public utility commissions across the country are realizing that renewable energy and energy efficiency is competitive and cost effective compared to the dirty fuels of the past. This is even true in Senator McConnell's home state, as demonstrated by the first solar project ever approved by the Kentucky Public Service Commission. Since 2009, a carbon pollution reduction program, not unlike what will be required under the Clean Power Plan, has existed in nine northeastern states. This partnership shows that as carbon pollution drops, energy prices remain reasonable, the lights stay on and public health improves. Further, the Regional Greenhouse Gas Initiative, or RGGI, has been widely praised as a real-world example that addressing climate change can be both ecologically and economically beneficial. If new jobs, healthy communities and lower electricity rates are important to states, clearly they have much to gain by crafting their own plans under EPA's Clean Power Plan. Based upon history and experience, our advice to states couldn't be more different than Senator McConnell's--the best course of action is to act.